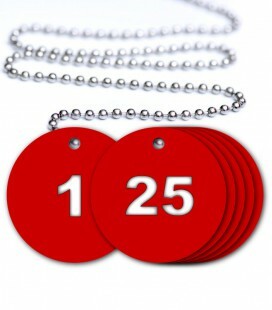 Laser Engraved Numbered Traffolyte Circular Tags available in packs from 1 to 50. Each pack includes free attachment, 50 ball chains per pack. 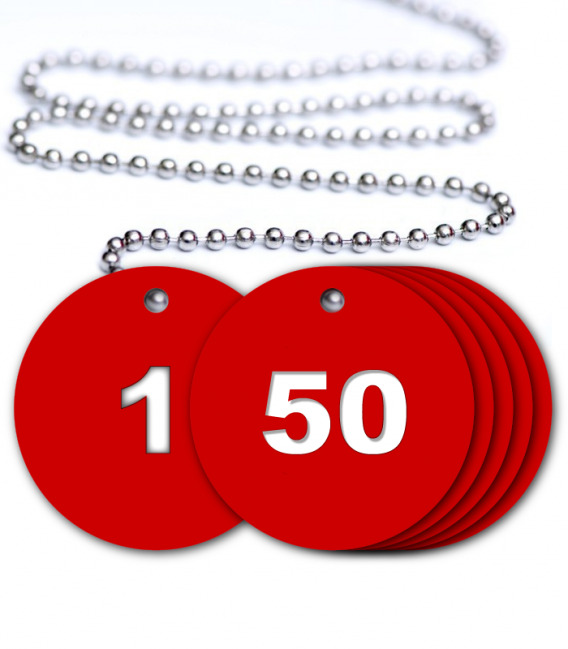 Pre-Defined Numbered Traffolyte Tags are circular laser engraved tags each with it's own defined laser marked number onto phenolic coloured acrylic plastic available now in packs by Lucas Products UK. We include a free ball chain with every laser marked numbered tag in a pack so you don't need to search or purchase amy other fixings or attachments, they are included in the price. 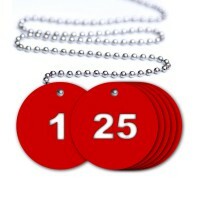 Free Ball Chain with each tag is included in every numbered tag pack. 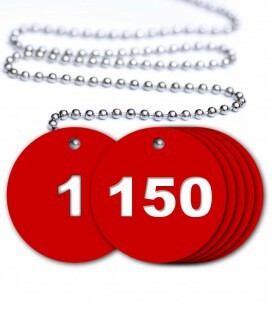 In a pack of 50 laser engraved traffolyte tags there are 50 free ball chain attachments. Your valve tags are ready to go. At Lucas Products UK, we offer a full range of colour combinations to ensure you meet specific requirements and keep compliant with any jobs specifications. Our traffolyte two or three coloured layered sheets of phenolic plastic are available in either 1.5mm or 3mm in thickness.